Trying to find the healthiest cooking oil can be a daunting task. One one hand, you want to cook with an oil that has a high flash (smoke) point, but you also need to use a cooking oil that has a healthy balance of Omega 3 to Omega 6 fatty acids--and even better if the oil is loaded with antioxidants and vitamins! 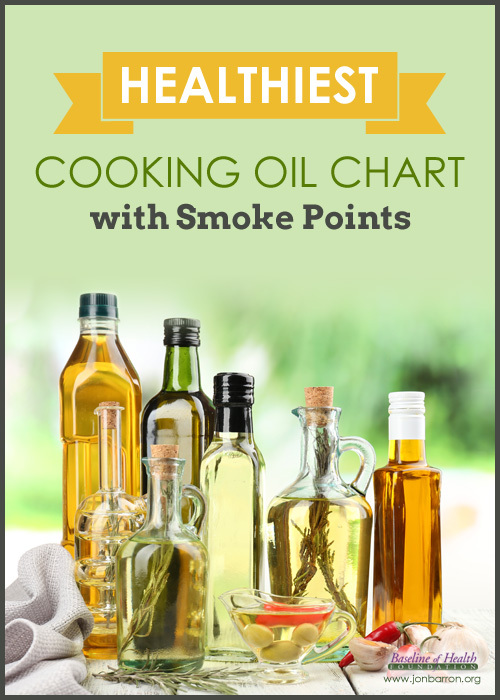 Knowing the smoke point of oils is important because heating oil to the point where the oil begins to smoke produces toxic fumes and harmful free radicals. Check out our healthiest cooking oil comparison chart below to help alleviate the confusion! Considerations: for high temperature cooking, select cooking oils with a high smoke point. For low temperature cooking, or adding to dishes and salad dressings, chose oils with a higher Omega-3 fatty acids since they promote healthy cells and decrease stroke and heart attack risk. They are also known for their anti-inflammatory action. Although you need Omega-6 fatty acids to maintain cell wall integrity and provide energy for the heart, too much Omega-6 fatty acids can increase inflammation in the body. Also, cooking oils high in Omega 9 is a good way to go. Omega-9 fatty acids are considered to be "conditionally essential," which means that although your body produces them, they aren't produced in meaningful quantities. Consuming omega-9 fatty acids such as oleic acid lowers the risk of heart attacks, arteriosclerosis, and aids in cancer prevention. 86% healthy saturated, lauric acid (has antibacterial, antioxidant, and antiviral properties). Contains 66% medium chain triglycerides (MCTs). 3:1, 80% of Canola in US in GMO. The bottom line is that when possible, buy and use organic, unrefined, cold-processed vegetable oils. Use extra virgin olive oil in salads or to add to cooked foods, but not for high temperature cooking. Unrefined walnut oil is also good, but again only for low temperature uses. You can use virgin coconut oil (high in beneficial saturated fats and medium chain triglycerides) for most mid-temperature cooking. However, coconut oil has a smoke point of about 350 degrees F (171 C), which means it is not suitable for high temperature cooking. Other choices include virgin olive oil and even butter in small amounts. Use avocado oil for high temperature cooking. Avocado oil has a very high smoke point by comparison to other cooking oils. It will not burn or smoke until it reaches 520 F (271 C), which is ideal for searing meats and frying in a Wok. Another good cooking oil is rice bran oil 495 F(257 C). Again, look for organic, cold-processed oil. Myth of Fact: Is Canola Oil Healthy? some of my friends say that sesame oil while cooking if bubbles comes only pure sesame oil, otherwise it is mixed with other oils. Is it true. Please revise the information/specs listed. Macadamia oil is way off... In contrary to what you listed, it contains a minimal of amount of Omega 9 and has mostly Omegas 3,6,7. Actually, the chart is correct. Macadamia oil contains approximately 60% oleic acid, 19% palmitoleic acid, 1-3% linoleic acid and 1-2% α-linolenic acid. Oleic acid is one of the two types of Omega 9 fatty acids, which is a main component of olive oil, macadamia oil, and other monounsaturated fats. If you find a resource that says otherwise, please send us that information. Thanks! How do I get the temperature while cooking ? For example what is the normal temperature while frying Indian dishes like SAMOSA & the like ? If you are frying, you are going to be at the highest heat possible. Frying temperatures are usually 375 degrees F (190 degrees C) or higher. I see no omega3 to omega6 ratio for the coconut oil. Coconut oil does not provide a balance of essential fatty acids because it does not deliver omega-3. Unlike most vegetable oils, coconut oil is high in saturated fat. One cup of coconut oil has 218 g of total fat, with 87 percent of the fat content consisting of saturated fat. It also has 3.92 g of omega-6 fatty acids, but they only represent 1.8 percent of the total fat in coconut oil. Cook with Omega 3 and Omega 6 rich oils, where do you get this crazy information? Where did you see this information on this page? We say the exact opposite. Perhaps you should read the article again about what oils we recommend for cooking and ones for salads, etc. Virgin coconut oil is one of the healthiest oils to cook in, and not just because of its high smoke point. It is nature's richest source of medium-chain fats - that break down in our bodies to produce energy, are not stored as fat, and boost immunity and metabolism. You did not mention Mustard Oil. It is widely used in Indian subcontinent for cooking. How good or bad is it for cooking? Thanks for pointing that out. It does look like mustard oil has a high smoke point at 489°F. Mustard oil has about 60% monounsaturated fatty acids (42% erucic acid and 12% oleic acid); it has about 21% polyunsaturated fats (6% the omega-3 alpha-linolenic acid and 15% the omega-6 linoleic acid), and it has about 12% saturated fats. Refined peanut oil rated as 2:1 is not accurate. Thanks, we updated the chart. Thanks for letting us know! I cook pancakes on a cast iron skillet on my stove....I usually use butter to cook them in, but it certainly gets smoky! I'm not sure what temp the skillet actually heats up to....what oil would you recommend I use instead of butter...I guess I could just go with avocado to be on the safe side...I don't want the pancakes to taste too weird! Howzitt and thanks for your work. 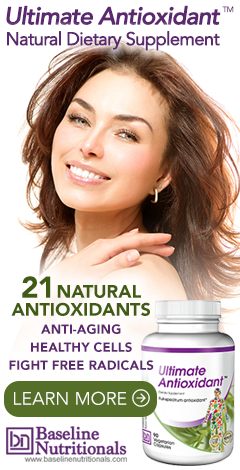 Correction on Safflower Oil : (70-79%) Linoleic Acid (Omega 6) smoke point 107°C- 225°F . Also, I agree with " Byaba on August 22, 2014 - 6:58pm..." Heating flaxseed oil (high in linolenic/omega 3) should not be recommended due to it's extreme heat sensitivity/volitility & toxicity potential. I am unable to pin (Pinterest) this excellent information because the image associated with it (your logo) is too small. Now I know why there aren't more pins for this great info. Are you able to add a larger image to the page? Try again, we just added an image! Thanks for letting us know. Thanks so much for this. It's so enlightening. Jon, you do so much work and I say, God bless you real good. However, I'd like you throw in some more light here concerning palm oil. Over here in Nigeria, that is one oil common in these parts. A good number of the vegetable oils are rather suspect. I had expected your response to an earlier post by someone on palm oil but you probably didn't notice it. So, what's your take on palm oil? I ask because it is my preferred oil for frying. On this page, he adds, "Coconut oil has a great many health benefits, but it is not good for high temperature cooking. It’s smoke point is about 350 degrees F (177 C). Palm oil is very different from coconut oil in composition. Palm oil is 40% saturated and 60% unsaturated. The saturated portion of coconut oil is largely lauric acid, which is very healthy. The saturated portion of palm oil is palmatic acid, which tends to push up triglyceride levels – not so healthy. On the positive side, though, the unsaturated portion of palm oil is a monounsaturated oil, just like olive oil. But unlike olive oil, palm oil’s natural resistance to oxidation makes it a healthier and safer oil for cooking or deep-frying. The smoke point for palm oil is a much higher 455 degrees F (235 C). Then again, the smoke point for avocado oil is 520 degrees F (271 C). And rice bran oil, which is less expensive, has a smoke point of 490 F (254 C)." Again, I think a clarification of how good these oils are relative to heating points will be in order Jon. For example,concerning the Mustard Oil, is it good, or bad for deep frying? If I want to fry like plantain or meat, is it okay to do so with palm oil? Is it better with mustard oil or canola? Or even coconut oil? It's simpler to understand it that way. Thanks. You forgot the Margarine and deep-fryer shortening. But everything else is good. These hydrogenated fats should never be used, if you care about your health, at any temperature. Thank you for creating this list, I am now a lot more informed and will be more confident in choosing which oils to use. What is the difference between monounsaturated and monosaturated? Is it healthy to drink coconut oil?